It may be cold and snowing where you are, but here in Florida the weather is perfect for cookouts! My family loves to get together for dinner on the deck in my parents backyard. One of our favorite meals is a make-you-own grilled pizza party. 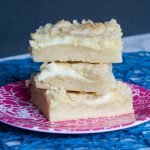 Today’s post is sponsored by Mettezza, but all opinions and recipes are my own. 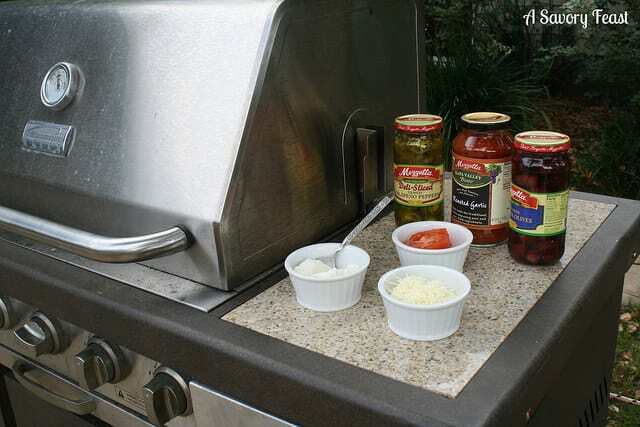 Putting together a make-your-own grilled pizza bar is easy and fun for any party or family gathering. We all have different tastes in pizza, so why not let each person create their own unique combination of toppings? This party idea is a great way to make memories with your friends and family. See who can come up with the most creative pizza! The first thing you need to do for your pizza party is gather up the ingredients! 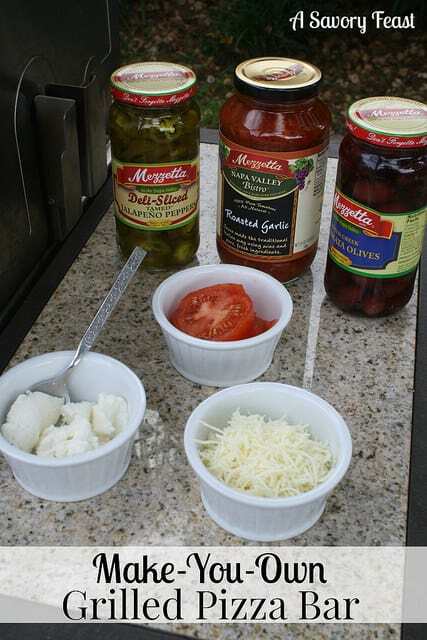 I went to the store and found lots of great products from Mezzetta that were perfect for making pizzas. Be sure to grab a bottle of pizza or pasta sauce, and any other toppings that catch your eye. Here are some topping ideas to get you started: Traditional toppings: Mozzarella Cheese (shredded or fresh), Pepperoni, Onions, Mushrooms, Sausage, Tomatoes… Greek pizza toppings: Mezzetta Kalamata Olives, Feta Cheese, Spinach… Extra Cheese, please: Romano, Parmesan, Ricotta, Gouda… Creative Toppings: Bacon Bits, Mezzetta Jalapeno Slices, BBQ Sauce, Hot Dogs… You’ll also want to grab one pre-made pizza crust for every 2-3 people, or one personal size pizza per person. 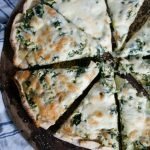 It’s so much easier to use the pre-made crusts, but if you prefer you can buy pizza dough or make it yourself. Be sure to set up all your ingredients as close to the grill as possible. Make sure everything is easy to grab by placing utensils in all the containers. Depending on the size of your grill, you should be able to make 2-3 pizzas at a time. 1. 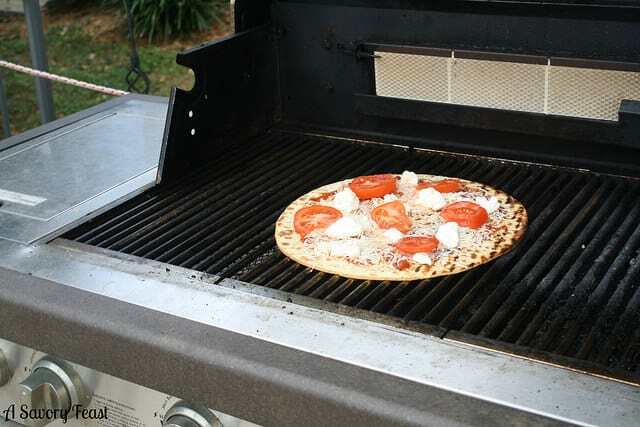 Place your pizza on a grill that is pre-heated to medium high. Cook for 2-5 minutes or until browned. Flip your pizza! 2. Top your pizza however you like! I usually like to start with my sauce, then add the cheese, and then add any additional toppings. 3. Close the lid and cook for 2-3 minutes or until cheese is melted and slightly browned. Do you have a holiday memory to share? Mezzetta is giving away a Holiday Gift Basket to 1 winner each day this month! That’s 31 winners! The giveaway will run from December 1st through December 31st, 2014. Find out how to enter here! 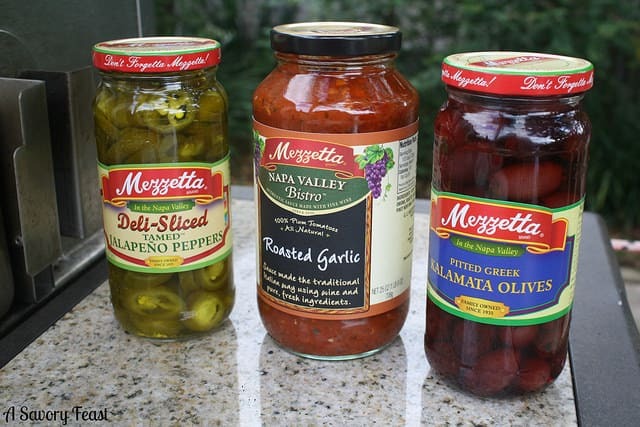 Wouldn’t you love to win a gift basket filled with Mezzetta products and goodies? You should try it! It would make for such a fun date night in. Let me know what you guys think! Yum! This looks incredibly delicious! I don’t think I’ve ever tried grilling a pizza before. But this is definitely putting me in a pizza mood! Grilled pizza is the best! It has great flavor, and it’s a lot of fun to make, too. Exactly! This is a fun way to mix things up instead of just your typical takeout pizza. Yuuuuum! I love pizzas cooked on the grill–they are SO good! Yay, another grilled pizza fan! I’m surprised at how many people haven’t tried it yet. It’s a lot of fun for groups because everyone can pick the toppings they want! It really is so easy to put together. It’s a lot of fun for parties! Oh yum!! Now I’m craving pizza haha! 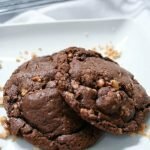 This will be on the menu this week! It’s so much fun! Let me know what you think. I love Mezzetta products, especially their olives. Great idea to grill the pizza too! I’m loving the warmer winter weather here in Florida. That is one welcome change from Texas! Isn’t it nice? I’m looking forward to the cold front we are supposed to be getting this week, though. Pizza is for sure one of my most favorite meals ever! I love grilling pizza and adding different toppings. One of my favorites is fontina, brussel sprouts and bacon. YUM! Mine, too. Oh wow, that combination sounds so good! 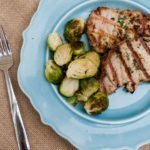 I’ve been trying to cook with brussel sprouts more, so I want to try that. It’s a lot of fun! I’ve been doing it for years and it’s always a hit. What a great idea and great pizza. Thank you so much for sharing with Full Plate Thursday and have a great day. 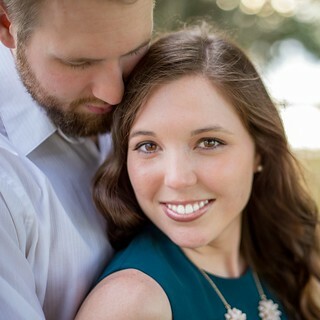 Thanks for being a great host and stopping by each week, Miz Helen. See you tomorrow for Full Plate Thursday!